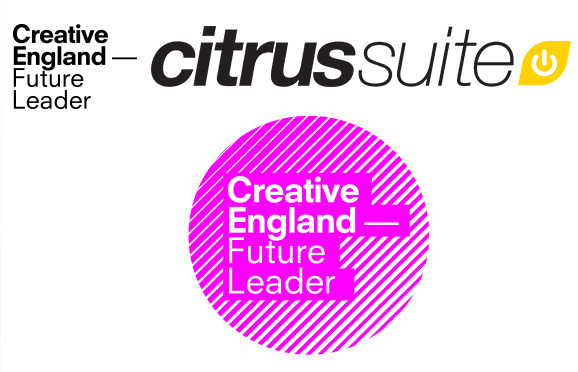 We are proud to announce Citrus Suite has been selected as one of the 10 Future Leaders; a list that Creative England believe showcases some of the best creative talent in England’s regions. Creative England has produced a report on the Creative Industries, Creative England 50 (the CE50). The report comprises the best up-and-coming companies and is a celebration of the achievements and recognition of the contribution the Creative Industries make to our economy. As part of the report Creative England asked a panel of judges to choose their 10 Future Leaders, who have demonstrated innovation, strong growth promise and the potential to disrupt their sector with true innovation. The Judges were Nicola Mendelsohn (Facebook), Saul Klein, Rory Cellan-Jones (BBC), Rebecca Burn-Callander (Telegraph) and Stuart Rock from the Business is Great government campaign. We’re delighted to hear that our work has been recognised and are attending Creative England Live, a highly interactive event, which will kick off with introductory speeches from Caroline Norbury, CEO of Creative England, Harvey Goldstein and Sajid Javid. Creative England awarded us funding to develop our own mobile health platform that transforms healthcare sector ideas into mobile realities. Creative England has the inside scoop on our mobile health work and we will be announcing further plans in 2015. ReMind Memory Suite : Memory Enabling Technology (AKA ReMindMe) for iOS / Android, apps designed to help people to live well with dementia and support carers. The prototype includes alerts, reminders and image slideshows with plans to integrate social features and more during phase 2 of development. The project team (Citrus Suite app developers, Innovate Dementia, LJMU, Mersey Care, clinicians, service users, carers, researchers, etc.) 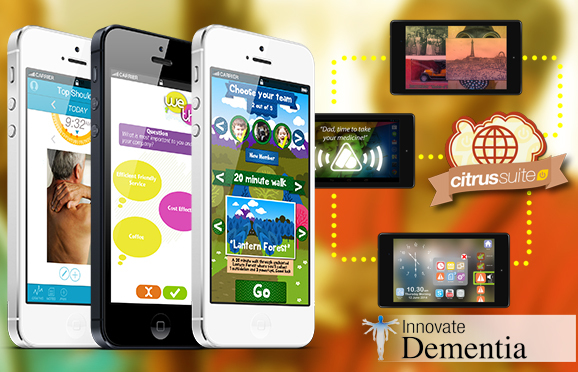 have identified the need to develop memory enabling technology which positively integrates into the lives of those living with dementia, is empowering and is specifically designed for a person with dementia (1st person), and has great benefits to carers. Fee Fi Fo Fit is a wellbeing app / game that will help young families get active. From 138 ideas, entered from across Europe, Citrus won Health X award from Public Health England with an app that engages and gets young families active. Fee Fi Fo Fit will now be part of the Change for Life campaign in summer 2015, it’s coming together really well, could this be Citrus’s 4th number one hit app?